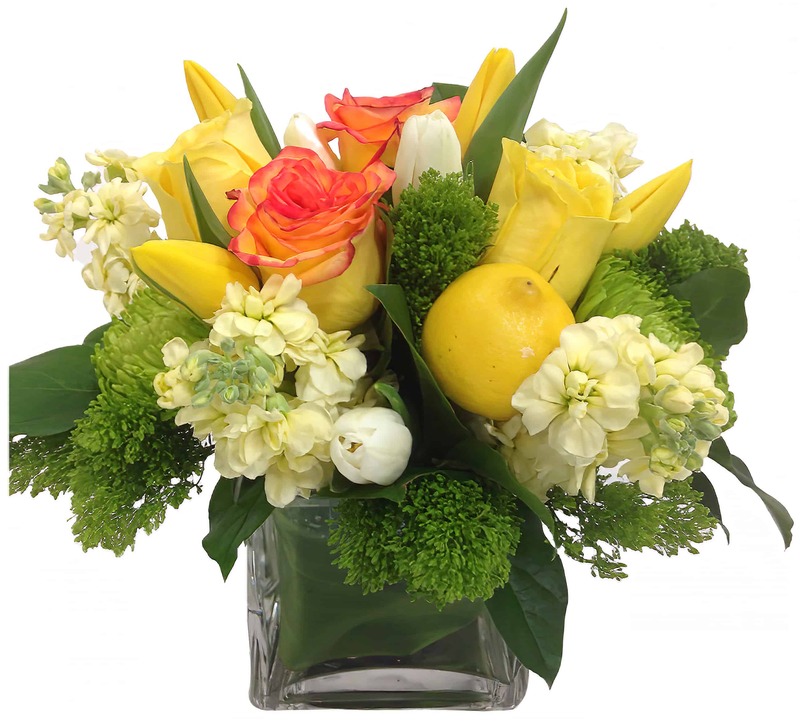 A ray of sunshine glistens with these Billy Balls, Canary Yellow Roses, Scented Geranium Leaf, and Fresh Lemons. Nothing is more cheery than these crisp, bright yellows and creams! (Approx. 8-9" in height) What a perfect way liven up someone's day! A Fresh Lemon is added to this arrangement for a unique affect, putting a new twist on one of our top sellers! This Design is Exclusive to Rossi & Rovetti Flowers - Limited Delivery to SF/Bay Area.